This second shock involves the opposition Labour Party, which has cartwheeled from Clintonian Third Way centrism to Marxian hard leftism in less than a decade. At its recent party conference, Labour promised not only to nationalize industries such as water, but also to create boards featuring local politicians, workers, environmentalists and consumers to oversee their management. Labour’s official platform demands that companies with 250 or more employees put 10 percent of their shares in “inclusive ownership funds” overseen by workers — presumably these shares would have to be confiscated from current owners. Economists linked to the party are mulling a reinstatement of capital controls and a four-day workweek. Britain has a reputation for pragmatism and moderation. Unlike France or Italy, it has never had a serious communist party. With the notable exception of Margaret Thatcher, its postwar Conservative prime ministers would in American political terms be classed as centrist Democrats. 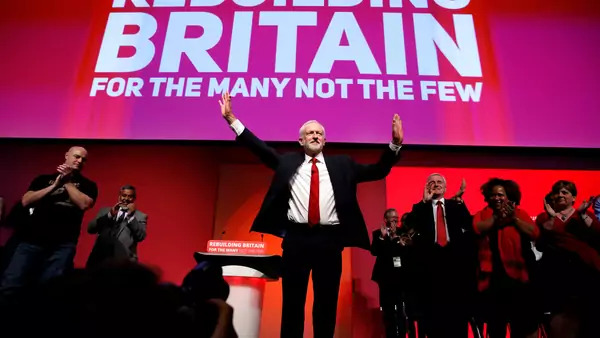 But it has also had periods of radicalism — not just Thatcher’s pro-market overhaul, but the sweeping nationalization under the Labour government of 1945-1951 — and it appears to have entered another radical phase now. The ruling Conservative Party is bent on delivering Brexit, a costly experiment in deglobalization. The Labour Party is committed to a sort of high-tax collectivism.